This book contains 288 fabulous colour images of New Zealand maritime scenes from the collection of the Museum of Wellington City and Sea, and others, taken between the 1950s and 1970s. This was the era when conventional cargo ships still plied the waters, and people headed overseas still boarded passenger liners instead of aircraft. Included are large ocean going ships and smaller coastal traders, ferries, service vessels, ports large and small, and wharf scenes redolent with the atmosphere of the time before containerization changed everything. Many of the ships are British, as can be expected in the period when over 40 percent of New Zealand’s foreign trade was with the ‘old country’, but ships from several other countries are represented also. The author was a merchant seaman for 12 years before becoming the Exhibitions Officer at the Wellington Maritime Museum and more recently Manager of the Cable Car Museum, and has written the three volume history of New Zealand fishing vessels ‘Nets Lines and Pots’, as well as an account of the tragic sinking of the Lyttelton to Wellington ferry Wahine in 1968. 210 x 275 mm landscape format, 256 pages, hardcover. 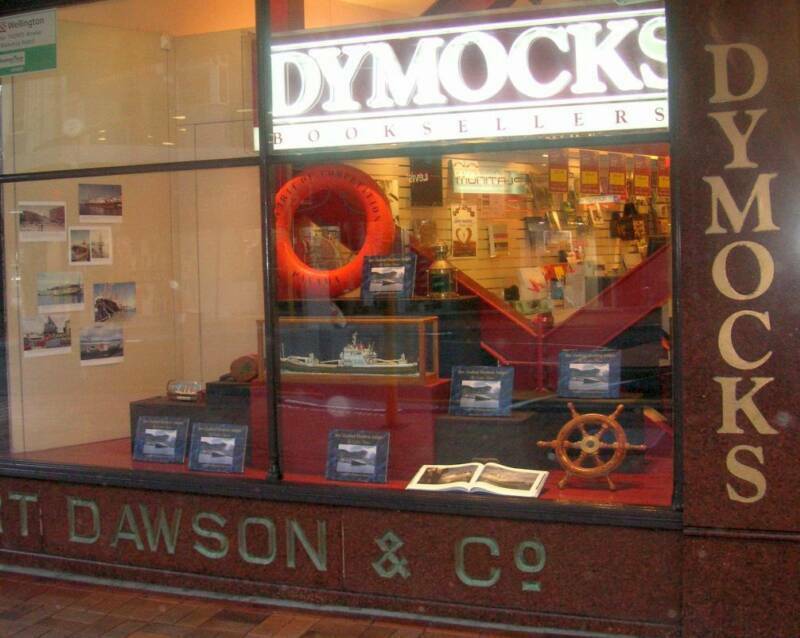 What a delightful book - I have spent many hours reliving happy memories of walking the wharves of Auckland, New Plymouth, Napier and Wellington in the 1950's and 60's when ships were ships and individual characters in colour shape and size which made a visit to the above ports a time to treasure. With this particular book there is the added bonus in that the illustrations are in colour to bring to life the hull and funnel colours which added such diversity to the wharf scene. My daughter last year also sent me a copy of the recent publication "The Era Of Coastal Shipping In New Zealand - The Small Motor Ships" by Murray Jennings a copy of which she obtained at your gift shop. Again for an ex-Wanganui boy this has been a treasure trove of memories. I would be delighted to be kept informed of future books of a similar content if and when they become available. "The images are large, old, In colour, usually one to a page and each speaks of a time and place sadly gone or changed utterly. As a boy in his teens I can see the places I used to visit with my english shipspotting mate. Some of the ships I have memories of travelling on from The TEV WAHINE as a four & five year old to the ARAHANGA in my late 20's. Some might see the lack of an index as a drawback, but on the otherhand this book is a pleasure just to trawl through and after awhile you'll work out what is where. And the Golden Years, while undefined by numbers on the front cover will become apparent as you journey through the pages. the volume is foreworded by Wellington Harbour master Captain Michael Pryce and introduced by Emmanuel. If you have any connection with the history of New Zealand's harbours and ships then you'll want this book. Well done Emmanuel, I am sure many SN members will enjoy this book. It appears that Transpress is a "boutique" publisher, and Whitcoulls, Dymocks etc. won't be stocking the book. They will get it in for you, but at a premium. So do what I did and go direct to the publisher. I phoned them up in the afternoon and the book was delivered by courier the next day. I have just finished my first skim through, and can say that it is a remarkable collection of photographs. Well done Emmanuel and all the photographers. A wonderfull book of recollections , enjoyed every photo . Well done Emmanuel a first class effort again. 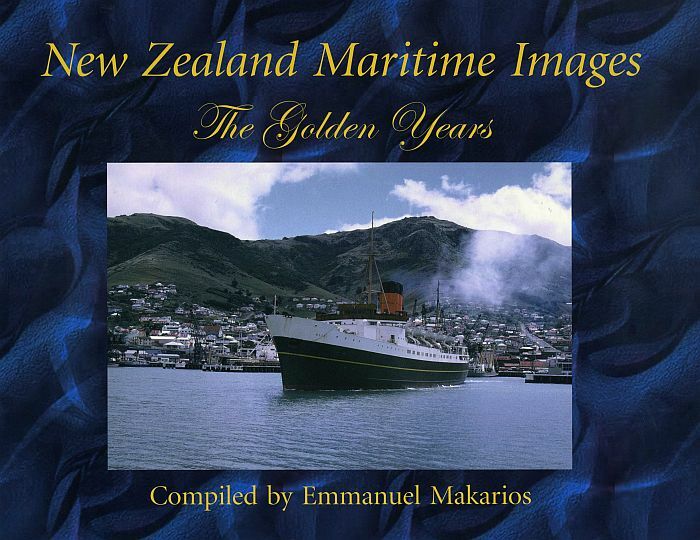 As I’ve mentioned before, transpress is one of my favourite publishers and the firm’s latest book New Zealand Maritime Images; The Golden Years compiled by Emmanuel Makarios is another excellent offering. New Zealand Maritime Images magnificently captures the golden period of the 1950’s to the 1970’s; a time when many of us will remember our youthful ability to wonder freely around our local town or city wharf. Those were the years when it seemed the summer was always golden and wharf security seemed to consist of nothing more than a loose chain across the foot of a ship’s gangway. The advent of containers changed not only the way freight was carried and the atmosphere of the wharf but also the very style of ship itself. Prior to the advent of containerisation in the late 1960’s ships could spend a month or more loading goods from a number of ports around the country. Containers are loaded rapidly and ships are on their way in a matter of hours now. Fewer staff are needed to load and unload and the Red Ensign of British ships has become a rarer sight; replaced by flags of a greater variety of foreign owned ships. Most of the 288 colour images in the book come from the collection of the Museum of Wellington City and Sea, resulting in a bias toward Wellington wharf scenes. However there is a good overall geographic spread with several images from Milford Sound and Bluff including several of the well-known Bluff – Stewart Island ferry Wairua. For a fascinating pictorial history of the way we were, New Zealand Maritime Images is a ‘must have’ for your library.